Continued strength in Dolby Atmos, Dolby Cinema and Dolby Vision helped Dolby report stronger results in its first quarter (ended Dec. 28) of fiscal 2019 than it did a year ago, according to Kevin Yeaman, the company’s CEO and president. “We’re off to a strong start to 2019,” he said Jan. 30 on an earnings call. “We are seeing growing momentum for Dolby Atmos, Dolby Vision and Dolby Cinema,” he told analysts. The company’s Dolby Atmos immersive sound technology and the Dolby Vision High Dynamic Range (HDR) format were “once again on display across the show floor” at CES in Las Vegas in early January, he noted. Cut to 2019 and Dolby Vision and Dolby Atmos have “become robust ecosystems with increasing momentum across a broad range of content and devices,” he said, pointing to CES news announcements that included Panasonic’s first TV with Dolby Vision and Dolby Atmos, as well as “eight other partners that have embraced the combined experience” for TVs, including LG, Sony and TCL. Dell also announced its first Dolby Vision PC, while Lenovo “expanded its support for the combined Dolby Vision and Dolby Atmos experience further into its line of PCs,” he said. Also at CES, Dolby demonstrated its solutions for mobile including iPhone support of Dolby Vision, along with Samsung and Huawei smartphones with Dolby Atmos, he said. In the home entertainment space, Dolby “showcased Apple 4K TV as well as the Amazon 4K Fire TV, both of which support the combined Dolby Vision and Dolby Atmos experience,” he noted. The number of sound bars now supporting Atmos “continues to grow and are available in a broad range of price points,” while the Microsoft Xbox One became the first game console with the combined experience, he also said. On the content front, Dolby partners including Amazon, Apple (iTunes) and Netflix are also streaming a growing amount of offerings in Dolby Vision and Dolby Atmos, he said. When it comes to Dolby Vision, for example, iTunes now has more than 400 movies, while Netflix has over 500 hours of content, he said. Dolby is also bringing the Atmos and Vision “experience to more forms of content, including live sports,” he said, noting examples of recent major live sporting events broadcast in Atmos included the Winter Olympics. “We’ve also had a number of trials in Dolby Vision, and this quarter marked the first live professional sports broadcast in North America in Dolby Atmos, as DirecTV began broadcasting select NBA games in November,” he said. There are now more than 200 movie titles that have been released at Dolby Cinema theaters or announced for them in Dolby Vision and Dolby Atmos, including the top 15 box office leaders of 2018, he said. Voice Room is the company’s latest video conference product. Dolby Dimension are the wireless headphones that Dolby introduced in the fall. 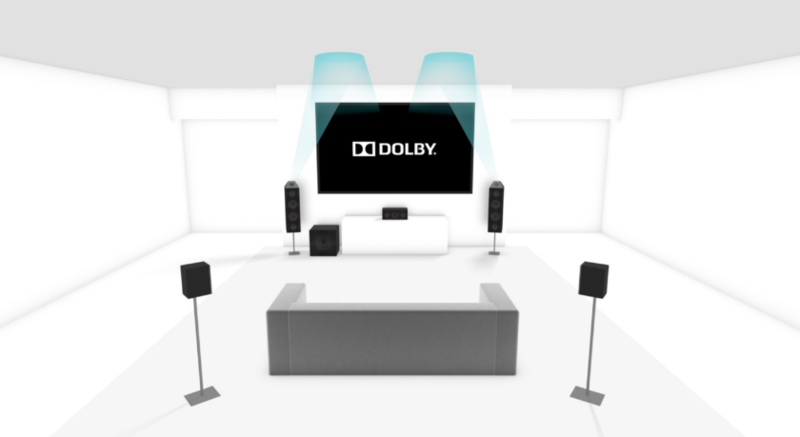 “We see a solid uptake of Dolby Voice Room in our first full quarter of sales, and we’re encouraged by the growth in the pipeline,” Yeaman said, adding the company was “happy to see the initial response” for Dolby Dimension. Total Dolby Q1 revenue grew to $302.4 million from $299.5 million a year ago and the company swung to a $98.2 million (93 cents a share) profit from a $53.3 million (52 cents a share) loss in Q1 last year.